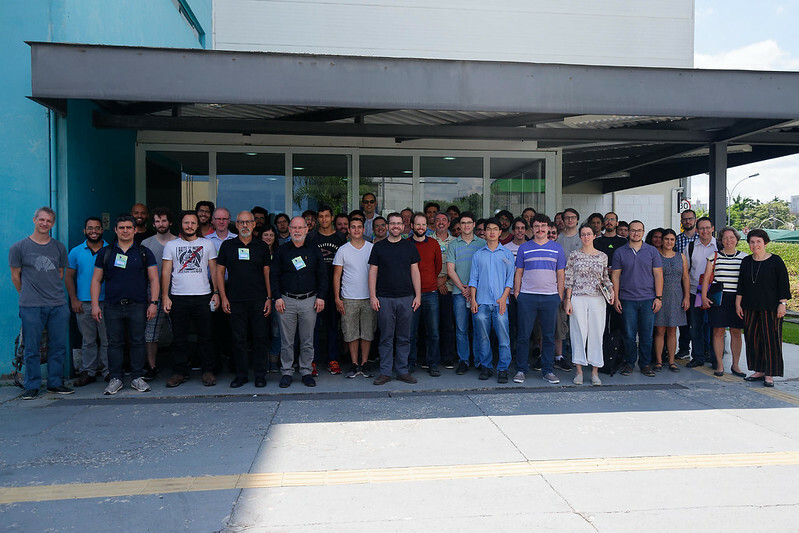 The goal of this meeting is to promote collaborations and exchanges between the groups working on hard condensed matter theory in the city of São Paulo and nearby scientific poles, such as Campinas and São Carlos. We also invite a few speakers from other parts of the country to give more breadth to the topics covered by the event. 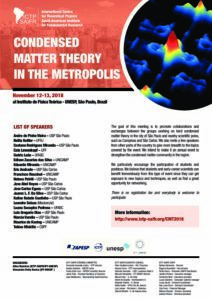 We intend to make it an annual event to strengthen the condensed matter community in the region. We particularly encourage the participation of students and postdocs. We believe that students and early-career scientists can benefit tremendously from this type of event since they can get exposure to new topics and techniques, as well as find a great opportunity for networking. There is no registration fee and everybody is welcome to participate. Registration: ALL participants should register. The registration will be on November 12 at the institute at 08:30 am. Accommodation: Participants and Speakers whose accommodation has been provided by the institute will stay at The Universe Flat. Each participant/speaker, whose accommodation has been provided by the institute, has received the accommodation details individually by email. 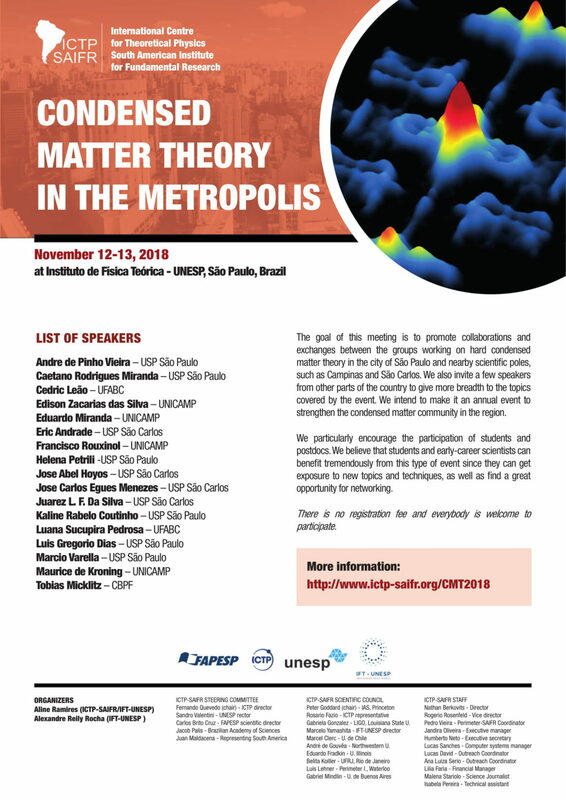 How to reach the Institute: The workshop will be held at ICTP South American Institute, located at IFT-UNESP, which is across the street from a major bus and subway terminal (Terminal Barra Funda). The address which is closer to the entrance of the IFT-UNESP building is R. Jornalista Aloysio Biondi, 120 – Barra Funda, São Paulo. The easiest way to reach us is by subway or bus, please find instructions here.